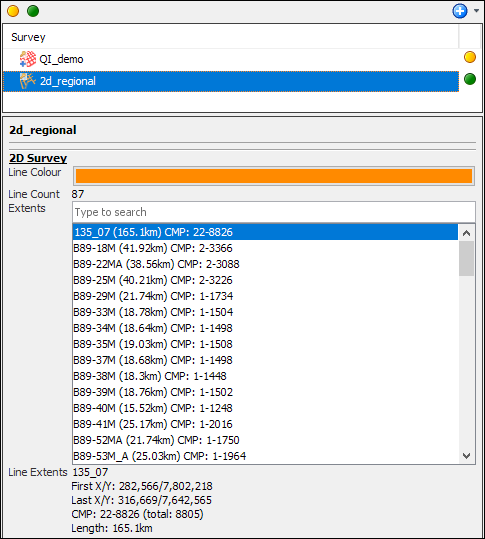 In DUG Insight, a survey is the mapping between the acquisition geometry and a coordinate reference system. In contrast, a volume contains seismic, or other, data, and is positioned using the geometry from the survey. Let’s take a closer look at each. Here is a 3D survey, remember this only contains the navigation. The panel shows IL/CL spacing and survey orientation. 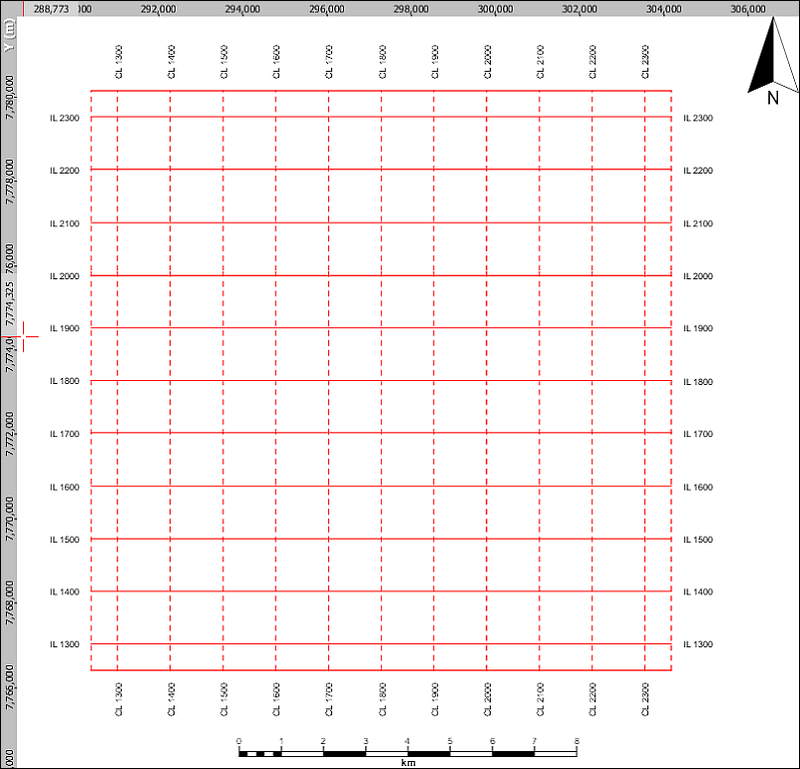 The icon shows the 3D survey as a grid. 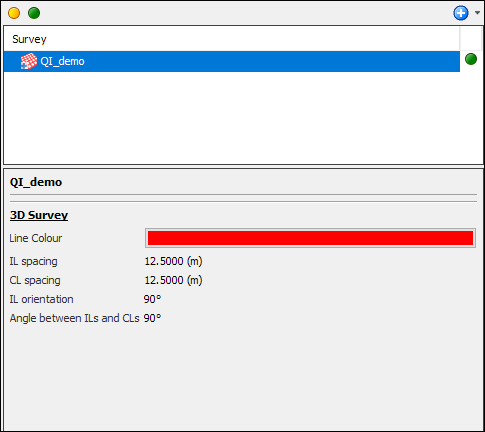 The survey can be edited by opening survey configuration and the full survey is visible in the map view. 3D surveys don’t include boundaries; their coordinates are allowed to extend in all directions. Insight expands the extents to include any object associated with the survey. You might be used to being restricted to the original acquisition area -- not in Insight! To reduce confusion, Insight doesn’t allow duplicate surveys. If you have two surveys with the same geometry, i.e. the same IL-CL to X-Y relationship, Insight is clever enough to recognise they are the same survey! This works even if the tie points or extents are different! Insight will let you know that the survey is a duplicate. Here is a regional 2D survey. A 2D survey is a collection of 2D lines. 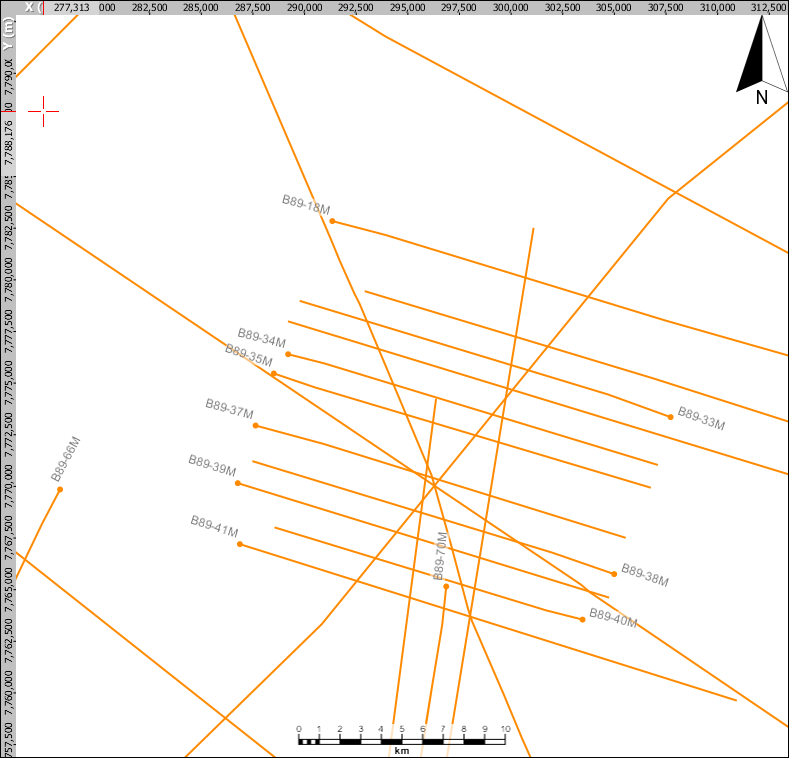 The navigation for the lines in this acquisition is loaded into the same 2D survey. The details show the list of the included lines. By creating a 2D line set, the user can create a group of the most useful or relevant lines. When loading a 2D line, the line geometry may have many redundant tie points in the navigation data. Insight only requires tie-points where the line bends or changes spacing. Redundant points can slow things down so Insight can simplify lines by removing the points that fall in a straight line. Use the tolerance level in the SEGY loader when loading 2D, to simplify lines to a maximum difference. Volumes contain one data type. 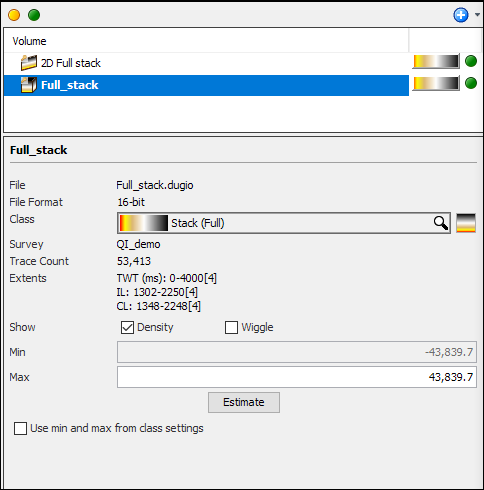 For example, if you have 3D full stack and 3D near stack data from the same acquisition, create a separate volume for each. Load multiple volumes at once using a new instance of the SEGY each time (see our FAQ for more details). 3D volumes display a cube icon and 2D volumes are represented by a slice. Select a volume to see useful details in the panel. Here you can see the on-disk file name, the class and the associated survey. A quick way to find the file location of the volume is to right click on the file name and select copy path. The location is saved to the clipboard for you to paste into another document. 2D volumes show the same information, along with the name of each 2D line with data available. To quickly view an individual line, right-click on an entry choose “Open in new 2D view”. This will open a new window with the the line and volume automatically selected for you. Open a section view for 3D volume data via Control Panel>>View>>ILCL view. Select a volume in the top right and scroll through each IL or CL using the up/down arrows. The arrow Hotkeys can also be used.